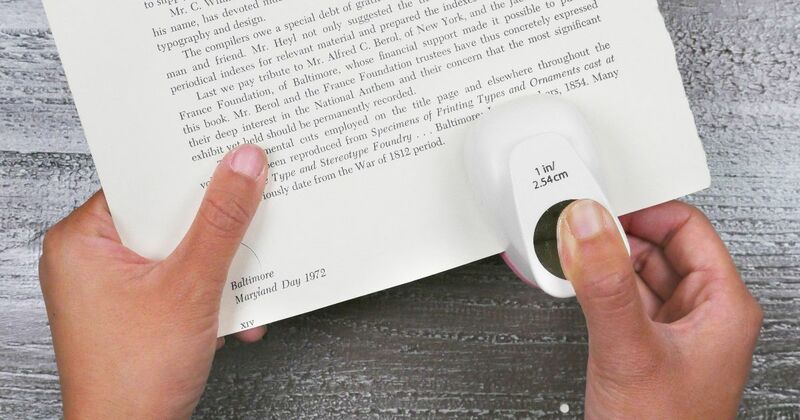 Do you like having your favorite book near you at all times? 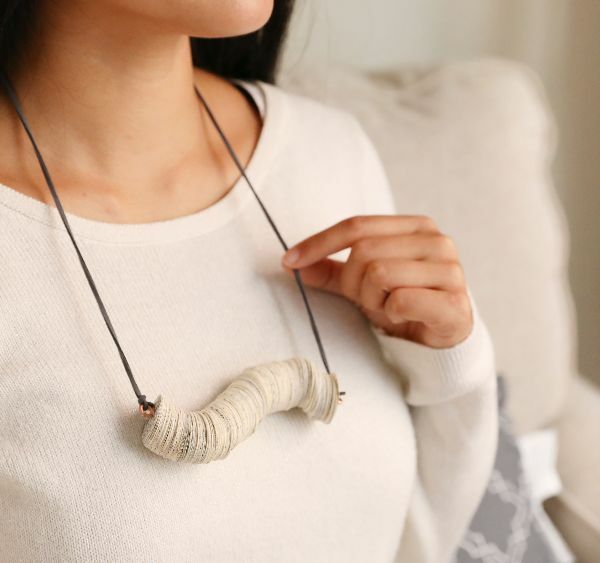 This project shows you how to craft a necklace from large book pages so you can keep literature close to your heart whenever you want. This necklace is customizable. You may use as many paper circles as you like to adjust the width, and shortening the "chain" turns it into a choker. You also can play around with the shape of the wire. 1. Tear out one page of the book. 2. Starting at the bottom of the page, fold up 1-1/2 inches, then fold up 1-1/2 inches again. 3. Using the 1-inch punch, make holes along the width of the folded paper. 4. Set aside the circles. 5. Trim off the empty holes. 7. Stack two or three circles. 8. Using the single-hole punch, punch one hole through the center of the circles. 9. Repeat Steps 7 and 8 until you have as many circles as you wish to add to the necklace. 10. Cut off approximately 6 inches of wire. Make this longer or shorter if you want. 11. Curl one end of the wire with pliers to form a closed loop. 12. Bend the wire into a shallow “S” shape. 13. Slide on the paper circles. 14. Curl the other end of the wire to form a closed loop. 15. Cut and tie cord or leather lace to one wire loop. Measure out how long you want the necklace chain to be. 16. Cut and tie the cord or lace to the other wire loop.